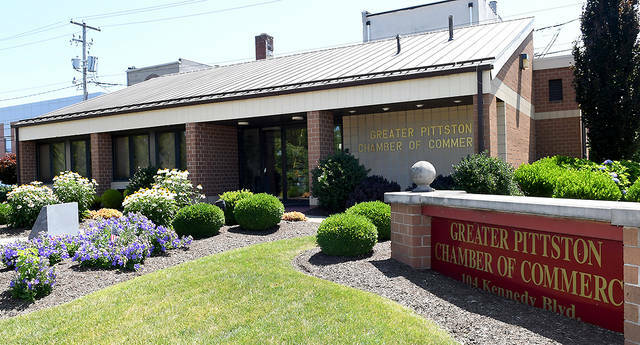 PITTSTON — The Greater Pittston Chamber of Commerce has been aiding and servicing businesses for a long time. In fact, 2020 will mark the Chamber’s 100th year of service. 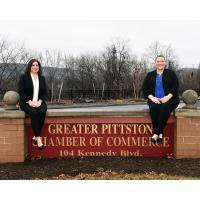 The Chamber considers its role in Greater Pittston as a driving force for economic development. 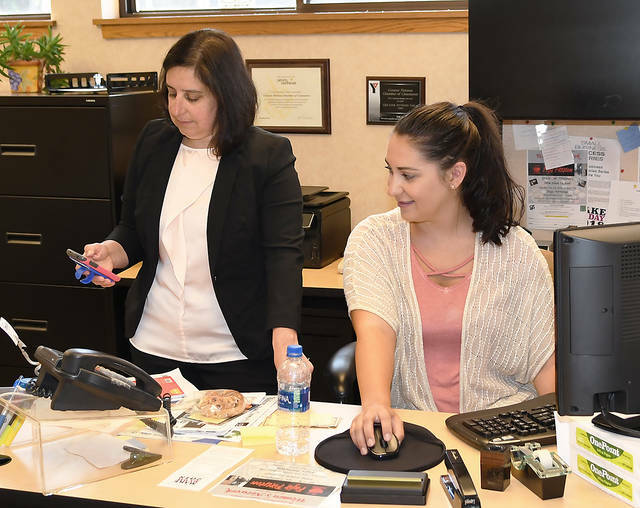 It is often considered the glue that keeps all businesses in the Greater Pittston area together. The Chamber’s major responsibility is to oversee and guide the community’s economic growth by facilitating the growth of existing businesses and fostering new ones. Over the years, prominent business leaders have presided over the Chamber; in fact, the 50th president was just elected as Richard Kazmerick starts his two-year presidency this summer, a term that will conclude in 2020. The presidency is steeped in tradition with a few families boasting multiple presidents over the decades. The late Atty. Thomas F. Burke, and his two sons, Judge Thomas Burke, Jr. and Atty. Joseph Burke, have all occupied the seat. The late Al Malone and his son, Tom, were both presidents. Throughout the decades, the Chamber has owned and developed land such as the Barnum, O’Hara, Quackenbush and Grimes Industrial Parks. It has aided businesses such as SCHOTT America, Keystone Automotive Operations Inc. and Pride Mobility — some of Greater Pittston’s largest employers. The Chamber helped secure an $8.75 million in grants from PA’s BIOS Program to support the CenterPoint, West Commerce and Trade parks where over 5 million square feet of warehousing space for over 30 companies has created over 2,700 jobs. According to Michelle Mikitish, executive vice president of the Chamber, the Chamber’s roll is to organize and direct those who believe in a community worth improving. It does this by offering several program to help businesses succeed. Such programs include opportunities to network through an annual dinner, mid-winter breakfast and an autumn breakfast. The Women’s Network was created with the same principle in mind. Each year, there are several mixers and business card exchange events as well as visitation tours and business showcase events. The Chamber offers educational opportunities and stays up-to-date with the Commonwealth of Pennsylvania through a Government Outreach program. On the Chamber’s website, you will find a calendar of events, hot deals and member-to-member discounts to keep members informed. Another digital service performed is E-Blast, an email service announcement to help promote an event, digital advertising and social media sharing via Facebook, Twitter and Instagram. Once a year, the Chamber conducts recognition awards such as Healthy Work Place and Continuing Excellence Awards, Outstanding Business of the Year Award and Distinguished Woman of the Year Award. The Chamber does not stop at being involved with businesses. It also reaches out to the community by holding a Community Reading Day in the Wyoming Area and Pittston Area school districts, Career Exploration Day, Chamber Day at Montage, Greater Pittston Community Night at the Scranton/Wilkes-Barre RailRiders and an NEPA Employment Expo throughout the course of the year. Health insurance and employee benefit consulting is available at the Chamber as is information on business insurance and energy discounts through On Demand. Chamber membership comes with use of the Chamber’s conference room. Anyone in need of support for a groundbreaking, grand opening, anniversary or ribbon cutting ceremony, the Chamber will aid in anyway possible to make the event a success. 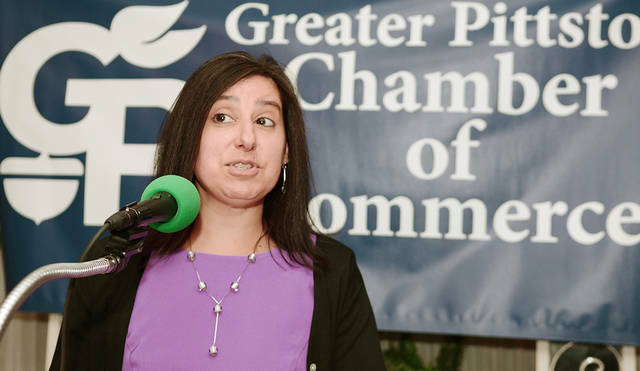 To join the Greater Pittston Chamber of Commerce, reach out to Brandi Bartush, administrator/events coordinator, at 570-655-1424.